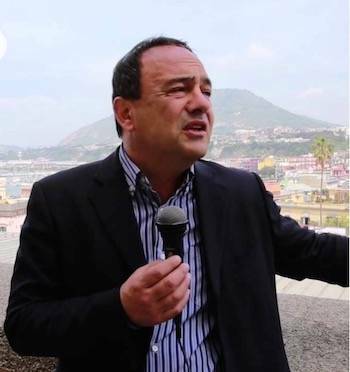 For his inventive integration of migrants into the small town of Riace in Calabria, Fortune Magazine named Mayor Domenico "Mimmo" Lucano one of the 50 most influential men in the world. Sharing the list with Lucano are the likes of Jeff Bezos, Tim Cook, Angela Merkel and Pope Francis. The celebrated ancient statue duo known as the Bronzes of Riace were upstaged this week, when Fortune Magazine named Domenico "Mimmo" Lucano, mayor of Riace in Calabria, one of the 50 most influential men in the world. Sharing the list with Lucano were Jeff Bezos, who runs Amazon; Tim Cook, who runs Apple; Angela Merkel, German Chancellor, and Pope Francis. The Bronzes were discovered off the Ionian coast in 1976 and are star attractions in the archaeological museum in Reggio-Calabria. 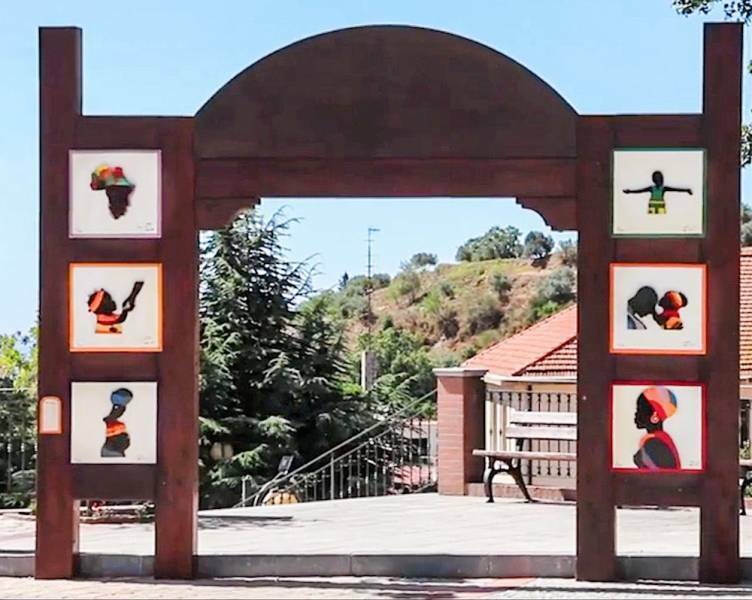 Mayor Lucano has been acquiring star status ever since he first welcomed Kurdish migrants into the largely abandoned town of Riace in 1998.
now has 1,500 citizens, of whom 400 are migrants, and over the past 18 years has hosted 6,000 asylum seekers. As Lucano himself explains, he is not a member of any political party, but, "As a university student activist I had been interested in the plight of the Palestinians, but also of the Kurds. And they were the first to come here." 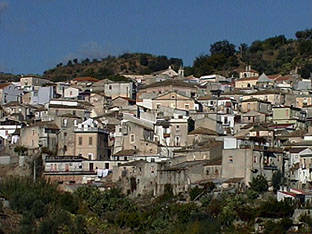 Twenty years ago most of Riace's native citizens had already migrated elsewhere in hopes of finding work. To house the new arrivals Lucano made use of abandoned homes, creating a hospitality center for the newcomers. But the migrants do not stay on in the the welcome center, he adds, saying simply, "We give them houses." Soon others arrived, often after devastating adventures by rickety boat. They now represent 20 different countries. 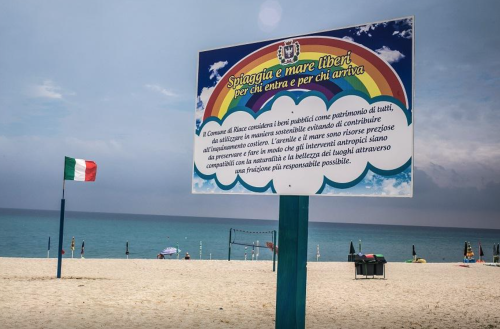 As one of the sub-Sahara Africans who stayed on at Riace said, fifteen on the boat carrying him to the Calabrian shore were drowned. Lucano put the surviving newcomers to work, repairing roads and houses, baking bread, reopening cafes, and setting up craft shops for ceramics and weaving. The elementary school which had been abandoned by the locals who had gone abroad was reopened. In the words of the Fortune listing, "When a boatload of Kurdish refugees reached its shores in 1998, Lucano, then a schoolteacher, saw an opportunity. He offered them Riace’s abandoned apartments along with job training... Though his pro-refugee stance has pitted him against the mafia and the state, Lucano’s model is being studied and adopted as Europe’s refugee crisis crests." Lucano says he has no idea of how he came to be included on the Fortune list of the world's most influential people, but that, "I hope that this gratifying event will be postive for Riace itself and for all Calabria, and help create the possibility for recognition of the needs of the world's forgotten, whom we stubbornly insist on representing." Until now, his town has been poor and considered marginal, he went on to say. "We hear the national press talk about emergencies -- of the Rom (gypsies), of trash, of migrants. For us these three elements are not worrying: Our idea is resurgence, and I think of the emancipation of the migrants. In my heart I am happy because I have the sensation that what we are doing broadcasts the message of the humanity of a place even though it is economically and socially precarious, and conditioned by organized crime." The mayor's work has not gone unnoticed. A U.S. graduate student came to Riace to study his work. In 2010 the famous cinematographer Wim Wender filmed a 32-minute docudrama based on the Riace vicissitudes called "Il Volo" starring Ben Gazzara (see it at >>>). In an Italian TV interview Lucano himself spoke of his work as "the utopia of normality." And, as the Italian daily Il Fatto Quotidiano pointed out this Wednesday, "He is alone, save for Laura Boldrini [Chamber of Deputies president]. In a land where unspoken words speak loudly, the silence of our political leaders renders all the more merit to the work of Mimmo Lucano." As elsewhere in Europe, Italy has a thriving anti-migrant political party, headed by Matteo Salvini, 43, close associate of Marine Le Pen in France. He heads the Lega Nord, whose thrust he has extended throughout Italy. February polls showing "intention to vote" accord him just over 14% of the vote, but with a tendency to rise.